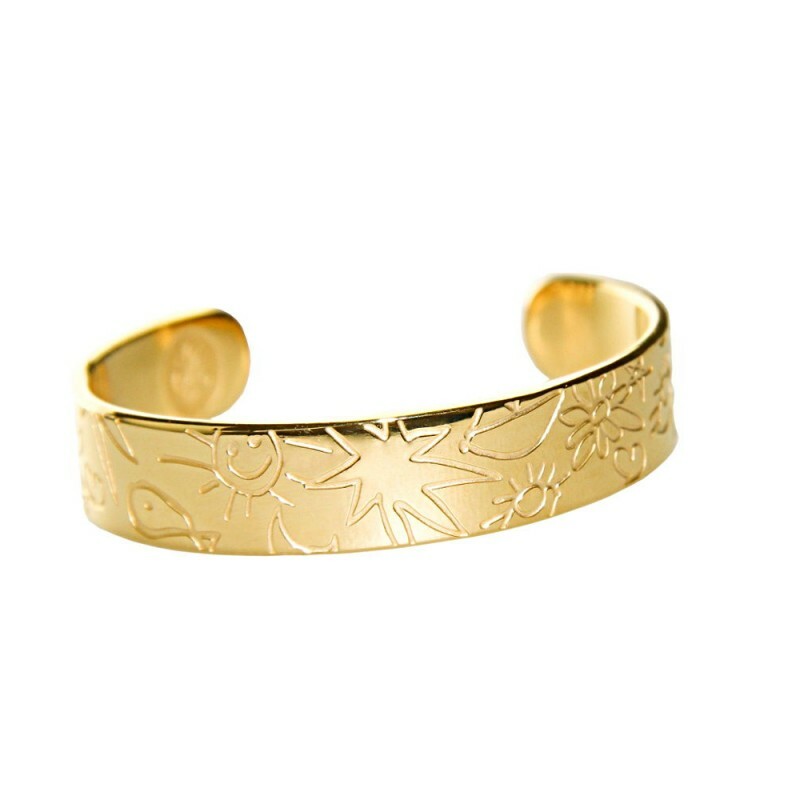 The Cara Cuff is adorned with various sweet symbols engraved on the surface of the cuff. This one of a kind cuff has been expertly Hand crafted and plated in 24 carat gold. The Cara cuff is a perfect way to add a statement finish to your outfit looks. Material: 24 carat gold plated brass. Size: Circumference is approximately 14cm (S-M) and 16cm (L) with a 1cm width. The opening approximately measures 3cm and it slips on the wrist. When putting on slide it further up from the wrist. The opening can't be widened.